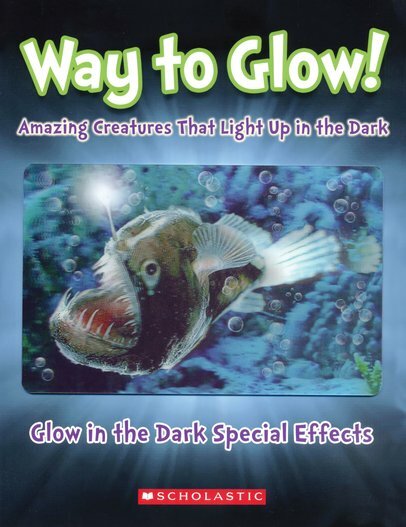 A glow-in-the-dark guide to amazing glowing creatures, with a fabulous lenticular cover. Fact: not all creatures need jewels or glitter to shine. Some of them flash, twinkle and sparkle all on their own! OK, so the hideous anglerfish won’t be winning any beauty contests. Nor will the freaky dragonfish. (Face = nightmare.) But fireflies and luminous jellyfish can be things of incredible loveliness. Who needs fireworks? Turn out the lights to see them shine!